The bidding on this next car is a tad optimistic. The glass isn't just half full...the golden goblet is filled to the brim with emeralds and rubies, but wow...what an ad. The car is probably certainly terrible, but the youtube commercial is top notch. 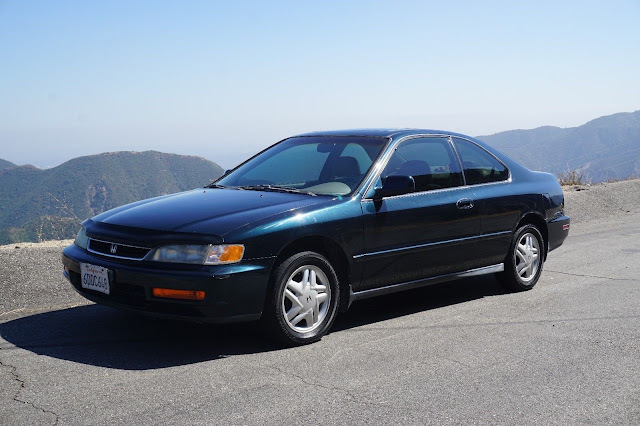 Find this 1996 Honda Accord EX bidding for something insane like $50k (probably fake bids...FAKE NEWS FAKE NEWS!) here on eBay with 4 days to go in Hollywood. Tip from Hugh. Haha it is up to 100k with 4 days left. It will be fun to watch and see if it gets to a million.